The latest project that has been completed is for a small room where a bed from a catalogue wouldn’t be practical. The standard beds available wouldn’t fit along the narrow wall of the room due to the radiator. 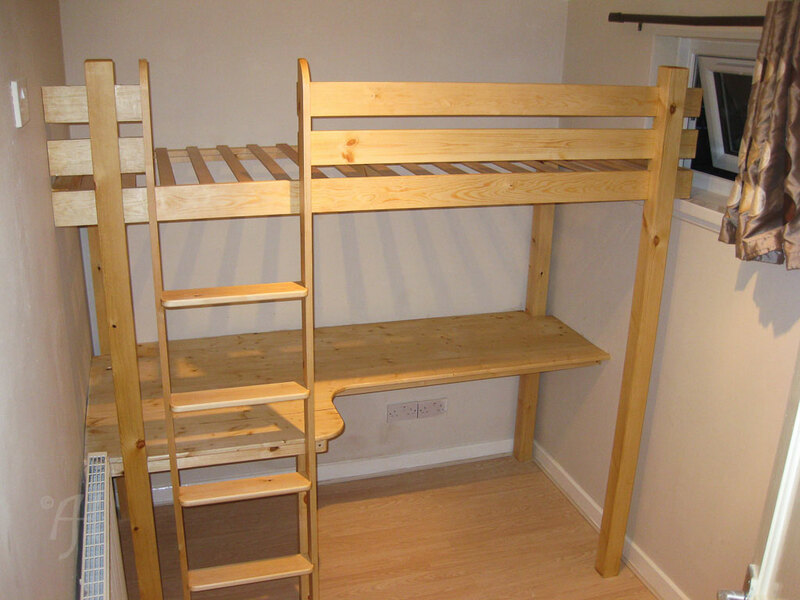 Here the specification from the customer was to design and build a bunk bed that was high enough to allow room to sit at a desk underneath. The solution was to maximise the space available in this small bedroom. Made entirely from pine, it gives a warm natural feel to the furniture rather than being painted. The satin sheen is achieved following two coats of protective hard wax oil, making for a product that will last for years to come. Also the edges and corners of the ladder and desk are rounded off to be much more user friendly while in use.